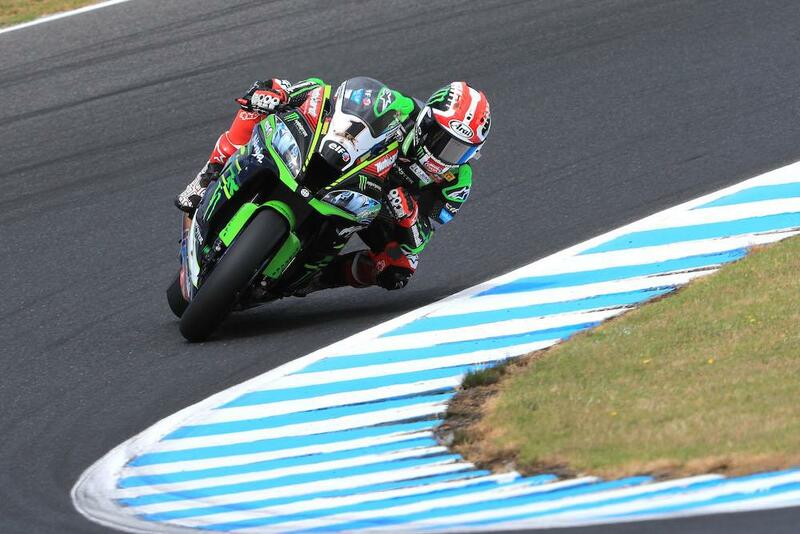 World Champion Jonathan Rea headed the pack once again as pre-season testing for the 2018 Superbike World Championship drew to a close at Phillip Island today. Conditions were much improved from yesterday, with the sun shining and the wind a lot less strong than it had been as testing got underway on Monday. However, it wasn’t a plain sailing day for Kawasaki’s Rea, who crashed at turn ten in the morning session. The incident was Rea’s fourth crash of the year, having gone down twice in Jerez back in January before an off at Phillip Island’s Turn 11 yesterday and Turn 10 today. The Ulsterman was just over a tenth of a second quicker than Ducati’s Marco Melandri, who continues to show impressive pace after a strong pre-season. The second Kawasaki of Tom Sykes was a further 0.078 behind. 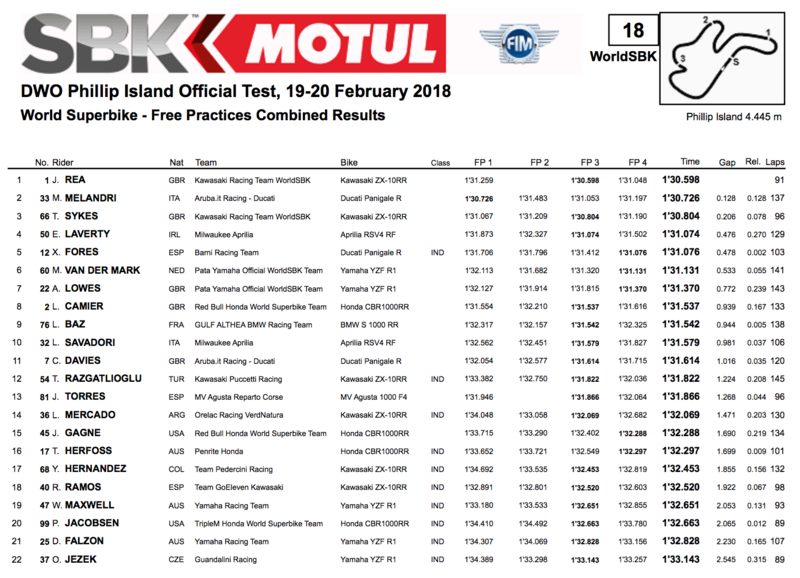 Eugene Laverty was fourth quickest overall as he continued to work on rear grip with the Milwaukee Aprilia team, head of the leading ‘independent’ teams rider Xavi Fores who was fifth quickest for Barni Ducati. Michael van der Mark shrugged off a crash on Tuesday morning to set the sixth quickest time ahead of team-mate Alex Lowes. Leon Camier continued to shine with the Red Bull Honda team, setting the eighth fastest time of the two day test. Returnee Loris Baz was ninth quickest ahead of the second Aprilia of Lorenzo Savadori, while Chaz Davies continued to struggle down in 11th. Word in the paddock is the Welshman’s lack of pace is less to do with the injuries he sustained back in November at Jerez and more to do with a lack of feeling with the Panigale R.
Track action is now on pause until Friday, when the 2018 season gets underway with the opening free practice sessions ahead of the first race of the year on Saturday.